Wednesday 24th – Tuesday 30th April marks European Immunisation Week. Vaccination is a life-long investment in everyone’s health and wellbeing. Thanks to vaccines, lots of children and adults in Europe are immune to measles, rubella, mumps, diphtheria, whooping cough, tetanus and polio. 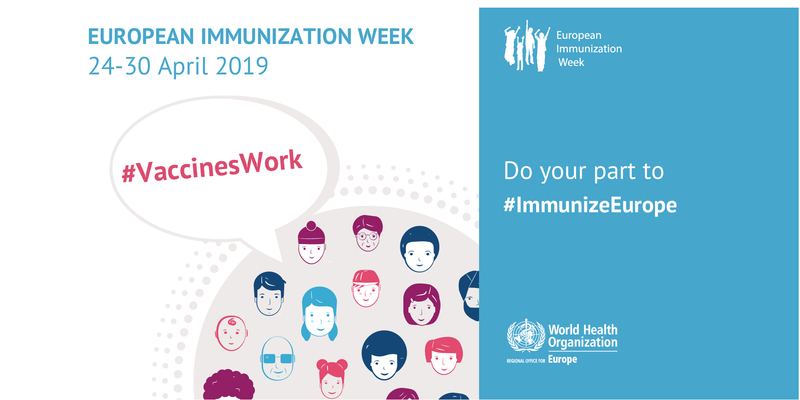 European Immunisation Week aims to keep the momentum going to make sure as many people as possible aren’t affected by diseases that could be easily prevented with a vaccine. One of the ways to do this is to raise awareness of the importance of immunisation throughout life. In Greenwich, not as many people as we’d like have up to date immunisations, across all age groups. This means that the benefits of vaccines are spread unevenly in the borough. Too many children and young people are missing the protection they deserve. Latest stats reveal 1 in 10 children in Greenwich haven’t completed the full course of MMR vaccination (two doses); 1 in 5 children did not receive all recommended doses of vaccines against diphtheria, tetanus and whooping cough; and many older people aged 70+ are not getting their free vaccine to prevent shingles, a painful skin disease. The cost of not vaccinating is clear. Gaps in immunisation coverage are an open door for contagious diseases, which allows them to spread among those who haven’t had their vaccines. Since the beginning of the year, there have been hundreds of measles cases in England. And so many people still suffer unnecessarily from mumps and whooping cough. The HPV infection can cause genital warts or lead to various cancers if you haven’t had the vaccine. Most sexually active women and men may get HPV at some point, so it’s important to protect yourself. The World Health Organisation is asking everyone to immunise themselves against vaccine preventable diseases.It’s easy, free and can help protect you, your family and your community. If you’ve missed a vaccination or not sure you’ve received all the necessary vaccinations, contact your doctor’s surgery for more information. Find out more about immunisations.